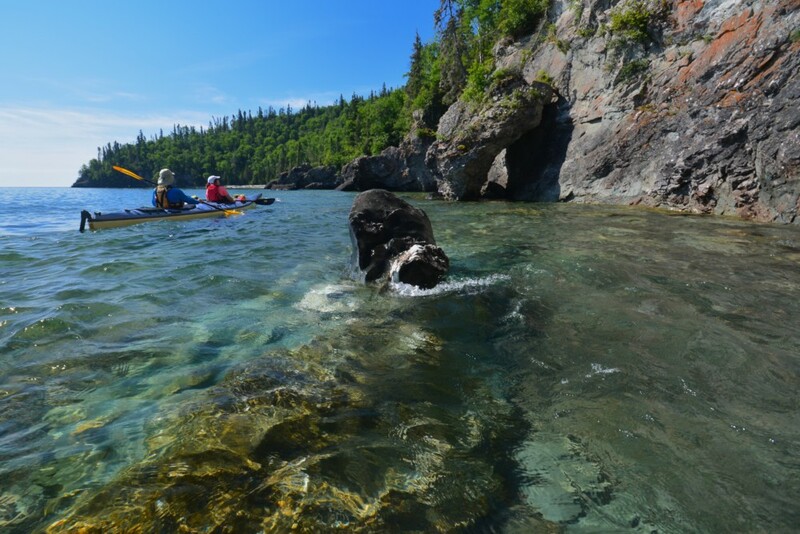 Guided and partially outfitted sea kayak trip–five days kayaking, five nights camping, half-day group skills workshop. 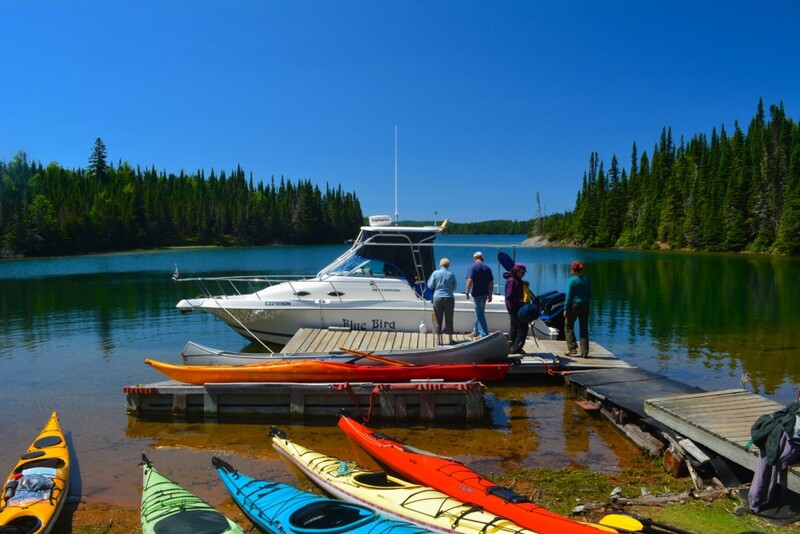 Full guiding and group outfitting, boat shuttles to and from the Slates. The Slate Islands form a circular archipelago of more than 20 islands created when a meteorite struck the earth billions of years ago. The shoreline presents a visual smorgasbord of geological features associated with meteor impacts including shatter-cones: cone-like rock fractures created by the shock waves that reverberated following the million-megaton TNT impact blast. 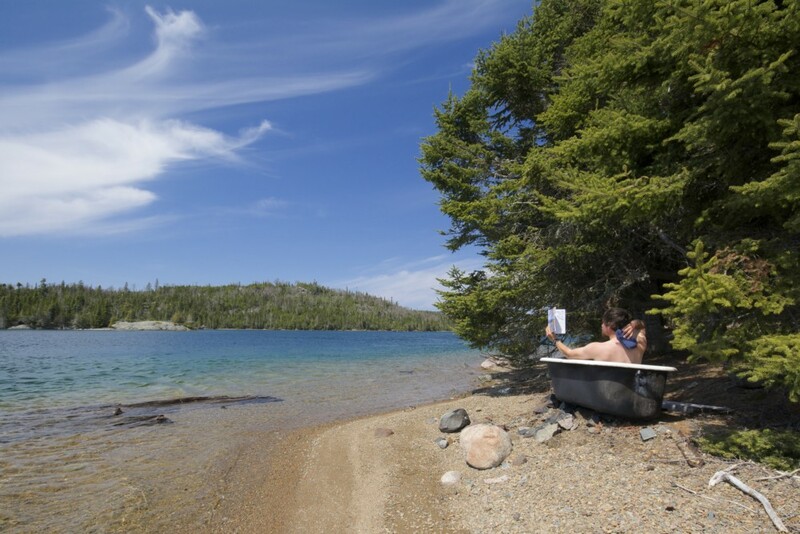 Although the islands’ gold and copper deposits are worth fortunes, the 8 main islands were designated as a Provincial Park in 1985. 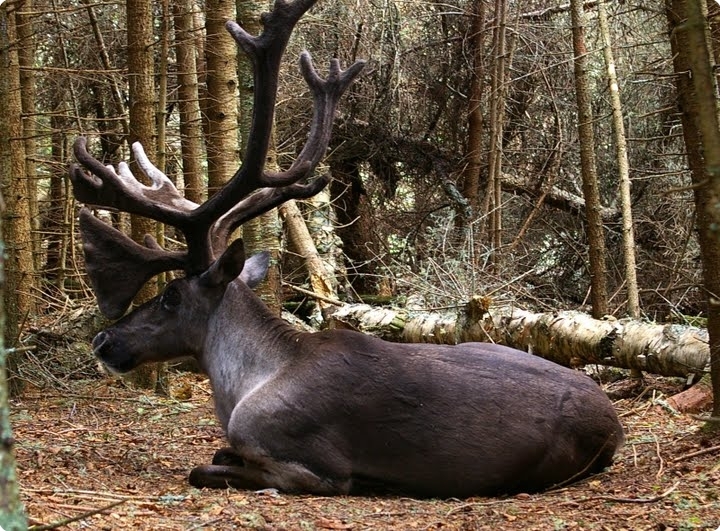 The Slate Islands are also home to Ontario’s greatest concentration of woodland caribou at the southern fringe of their range. 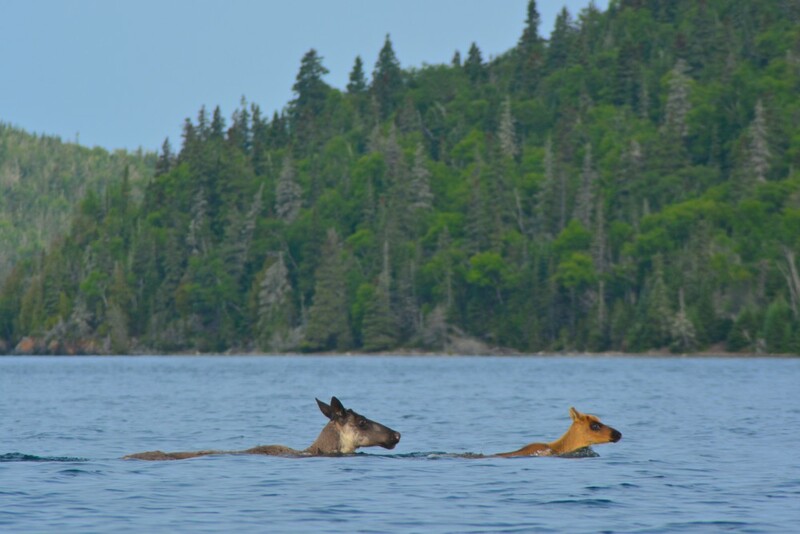 Read Paul Steyn of National Geographic recent article on paddling with Slate Islands Caribou. 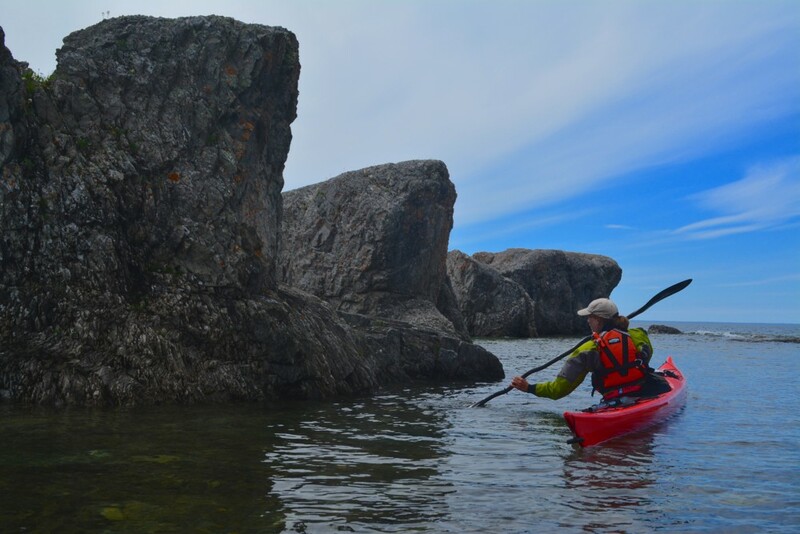 This trip is designed for novice to intermediate paddlers and begins at our base in Wawa with basic group skills, trip orientation and lunch before shuttling to Terrace Bay for our boat shuttle to the Slates. 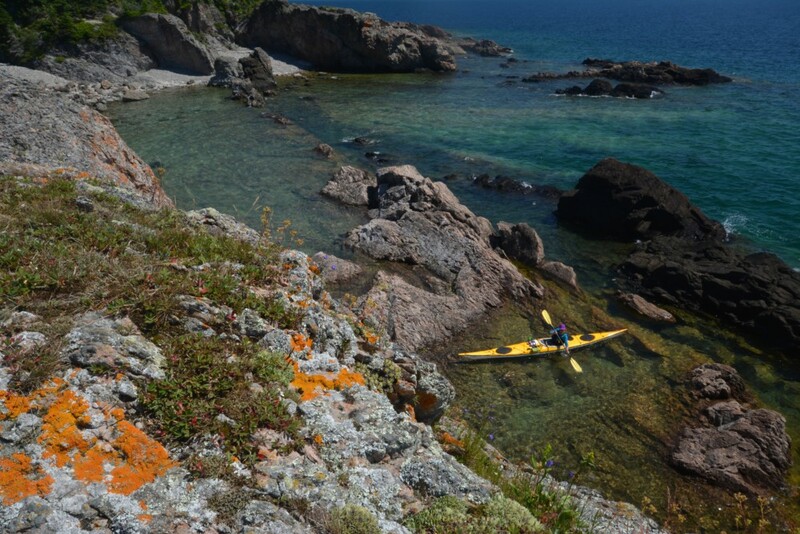 Alternatively, we can meet guests (optimally experienced paddlers) coming from the west at the Terrace Bay marina. 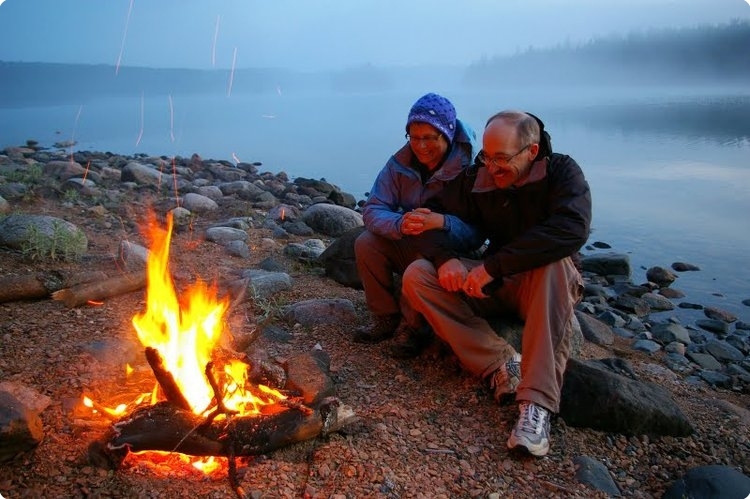 Your enjoyment will be enhanced if you are in good physical condition and comfortable with wilderness camping. 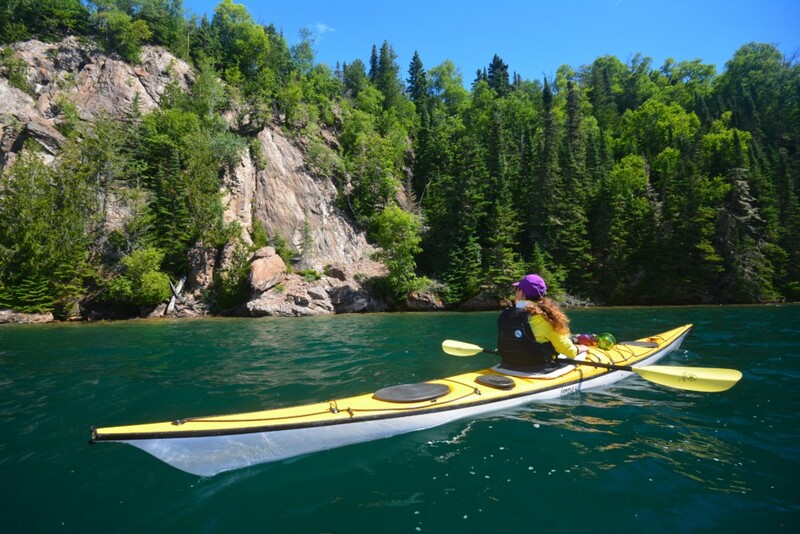 Lake Superior is mostly calm in summer, but when it gets rough we enjoy the view from shore. Although each group will travel according to its own pace, we tend to spend most of the day on the water leaving lots of time for covering the distance and exploring. 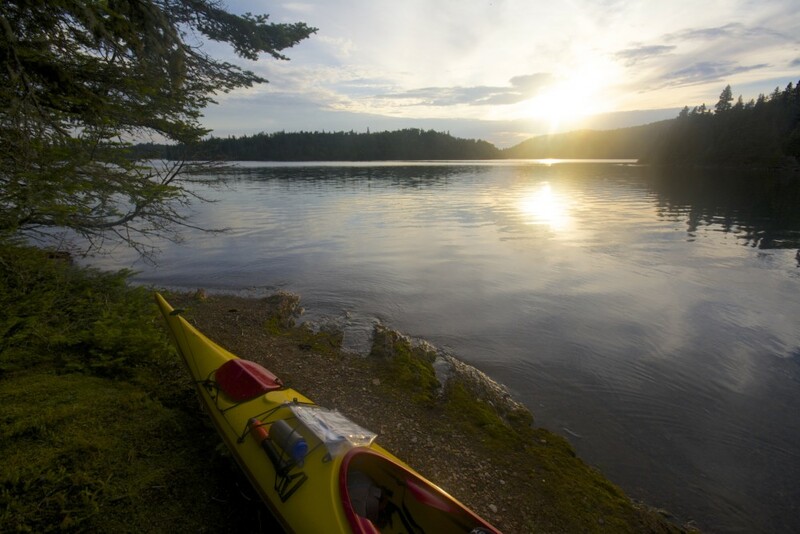 You will be responsible for carrying a portion of the group gear in your kayak, as well as your tent, sleeping bag and personal gear. Skills session at Rainbow Falls, dinner & camp overnight. 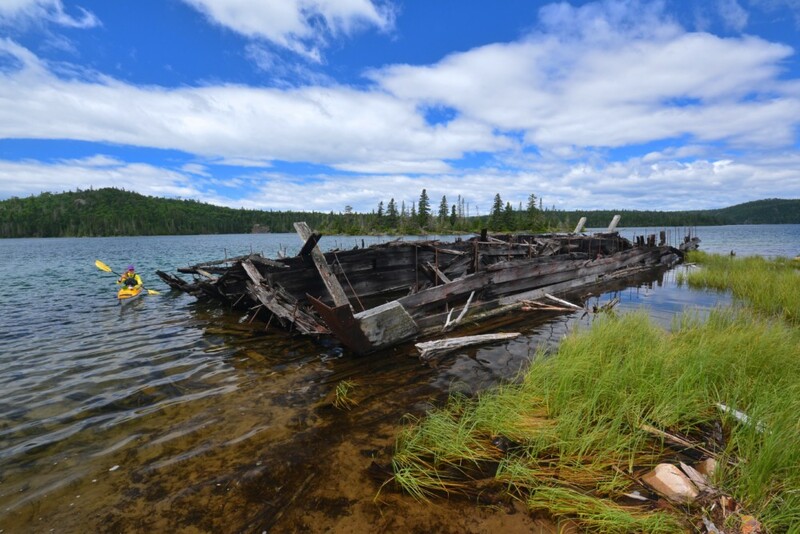 Historic Rossport fishing village, great views of the Rossport Islands. 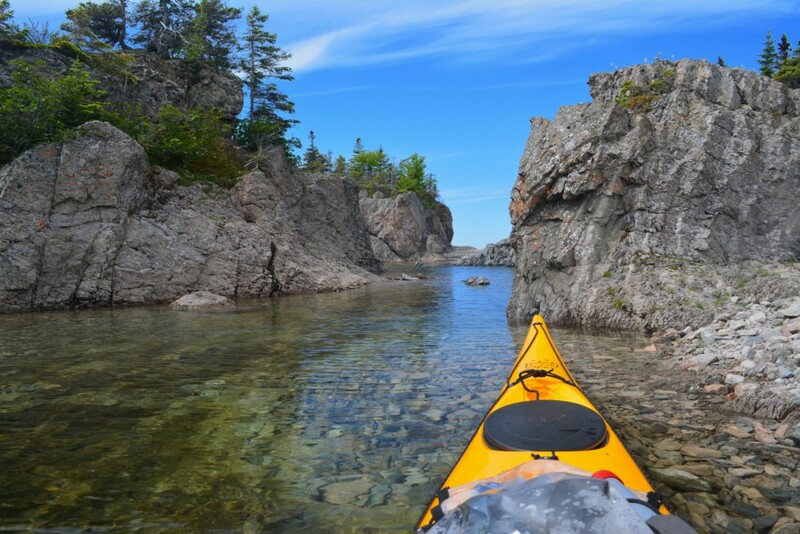 Begin to circumnavigate Patterson Island and camp at Horace Cove. Camp on the north side. Leadman/Delaute Island tour. Boat shuttle back to Terrace Bay. Everything here is spectacular! My only regret is that we did not get here earlier. We will certainly be back.